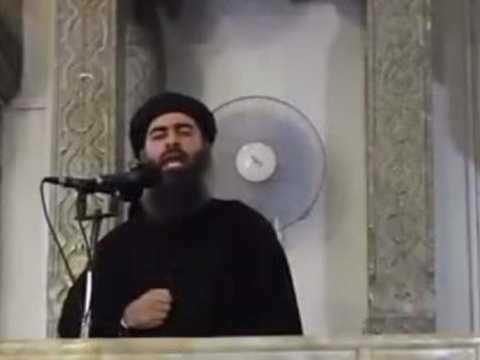 BAGHDAD (AP) — Two Iraqi officials and state television say an airstrike in western Iraq wounded the leader of the Islamic State group, Abu Bakr al-Baghdadi. Pentagon officials said they had no information on such a strike or al-Baghdadi being wounded. A key aide to the self-described “caliph” reportedly died in the attack. An Interior Ministry intelligence official told The Associated Press on Sunday that the strike happened early Saturday in the town of Qaim in Iraq’s Anbar province. The official, citing informants within the militant group, said the strikes wounded al-Baghdadi. A senior Iraqi military official also said he learned in operational meetings that al-Baghdadi had been wounded. Neither knew the extent of al-Baghdadi’s apparent injuries. Both spoke on condition of anonymity to discuss confidential material. State television later also reported that al-Baghdadi had been wounded.